I don’t know where I would be in life without sports. Ever since birth, all I’ve ever wanted to be is an athlete, a great athlete. Born and raised in Conakry, Guinea, I started showing early signs of athleticism at the age of one. My parents still joke about how hilarious and dirty I looked on the ground as I attempted to kick the soccer ball with one leg in the air while holding the other firm to the ground for balance. Apparently I loved that soccer ball more than life itself. In 2001, my short soccer career came to an abrupt end. My parents had been working on visas for my sisters and me to go “visit” our aunt in Michigan during summer vacation. When our departure date arrived, I was ready and excited to see the new world and I couldn’t wait to forge everlasting memories to share with all my friends back home. I got to the airport and waved goodbye to my family, and up the plane went. Ypsilanti, Mich., became my new home. There I was, at the age of 11 in a foreign country, at a new school, without having the slightest clue what “hello” even meant. This was the beginning of a really tough journey. By then my parents had told me about their plans of giving my sisters and me what they didn’t have; the opportunity to not only seek higher education in a world-renowned country but also to experience life from a different perspective. I had mixed emotions about the news and the first thought that came to mind was how much I was going to miss my friends. I was quite aware that most friendships from the young ages don’t last but I didn’t expect mine to just come to an abrupt end. To put it in perspective, cellphones were not common back then, and the internet was not as prevalent, let alone the use of social media. It was time to settle for the hand I had been dealt. I quickly began to accept that Ypsilanti was my new home and the only option was to adapt sooner rather than later. Kaba is thankful for the sacrifices his family made for him. My first day of the sixth grade at West Middle School was filled with nothing but confusion. Thinking back, I don’t know how I managed to find my way around that day, let alone get back home in one piece. The only knowledge I had of the English language was the ability to count from one to 10; I could also recite the letters of the alphabet. The rest I would have to spend years learning. Before that I would spend the first few months of the school year sitting in class, observing and listening without saying too much. I didn’t have the confidence to express myself so I was very content with being the ghost of the class. As I grasped the English language, I mustered up the courage to attempt socializing, participating in class discussions, making friends and joining sports team. I thought it would be a walk in the park. My attempts failed. I was not that good at sports and my English just wasn’t good enough to catch a break from the bullies. I think my experiences qualify me to say that the vast majority of middle school kids are not very kind, especially if you don’t speak their language. Breaking my silence almost caused disturbance. Every time I would speak, the cliché Hollywood-movie-shaming would follow my sentences. I call it the “point and laugh.” The kids would put on a heavy African accent and mock me as they repeated what I said verbatim. It hurt me a lot and I would get so upset, too upset, to defend myself. The bullying continued throughout the school year and it never got better. In the seventh grade, my family moved, which meant I would attend a new school. At Lincoln Middle, I didn’t want to relive what I experienced at West Middle. Some of my encounters with bullies have left me with many interesting stories to share, from being shoved in mud to having my gym shoes filled with body lotion. The occurrence I remember the most is the one that has had the most impact on me. I was on a basketball court shooting balls. Mind you, I was horrible, but who says you have to be Michael Jordon to shoot a basketball? I was enjoying myself. A few moments later some of my school mates came onto the court and began making fun of how terrible I was. (They were on the basketball team). They kicked my ball far out into an open field and insinuated that I needed to leave the court to let them play. I went and retrieved my ball, came back onto the court (where they were now playing a game) and started shooting again. They got really upset and began to rush towards me as if they were going to put their hands on me. They were a bit taller and stronger so it would not have been a pretty sight had they got a hold of me. There was a man at the court, and I am thankful to him up to this day. His name is Quentin Beasley; he was the older brother of one of my female classmates. Quentin rushed on the court to break up the scuffle and told the bullies to get away from me. He was in high school and we were in middle school; he had authority and used it well. Those words stood out to me like nothing ever had before, and they will stand out to me forever. As the years went on, I used Quentin’s words as fuel to get ahead in life. My English got better, I got better at sports, and life in Michigan began to look promising. Years have passed since Quentin gave me those words of wisdom. I can almost guarantee he doesn’t know the impact those words have had on my life. I have tried to get in touch with him through social medial but I always come up short. It would be great to have to opportunity to tell him that he helped me achieve a life goal of mine, as I am preparing to hurdle at the Olympic Games. Though I am no longer bullied, I still use Quentin’s words and keep them in perspective as I work hard and train hard to be the best hurdler that I can be. His words go well beyond sports, and I apply them to all aspects of my life. So once again, Quentin, wherever you are in the world, I hope this message somehow reaches you in all wellness. I thank you for stepping in that day on the basketball court and inspiring me to reach for the stars and to aim for the best in everything I do in life. 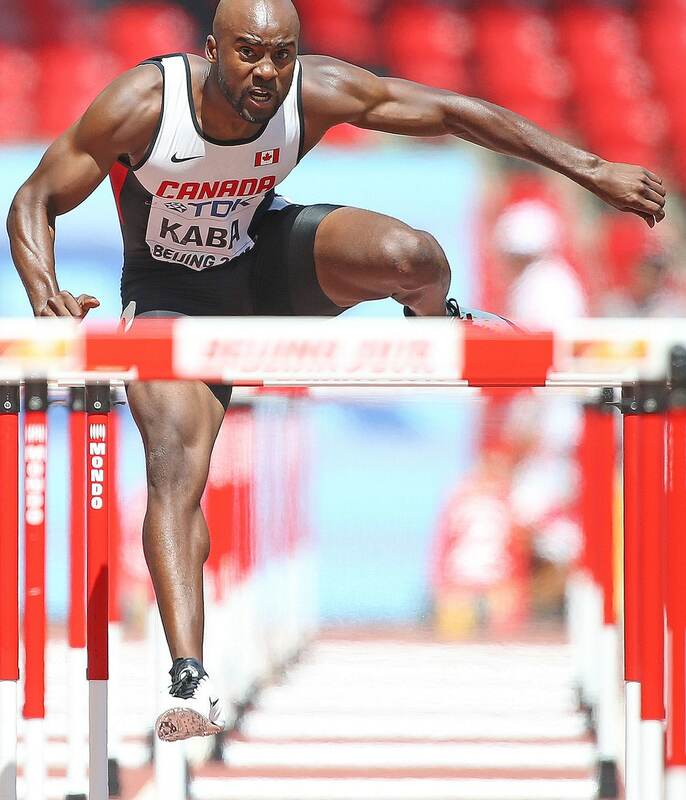 Your words have helped me achieve great goals but for now I am working on being one of the best hurdlers in the world.